A traditional design single ceiling pendant with an antique brass lamp-holder and ceiling rose complete with a delightful satin glass shade with ribbed effect. The pendant is suspended with decorative braided cable and can be height adjusted at the point of installation. 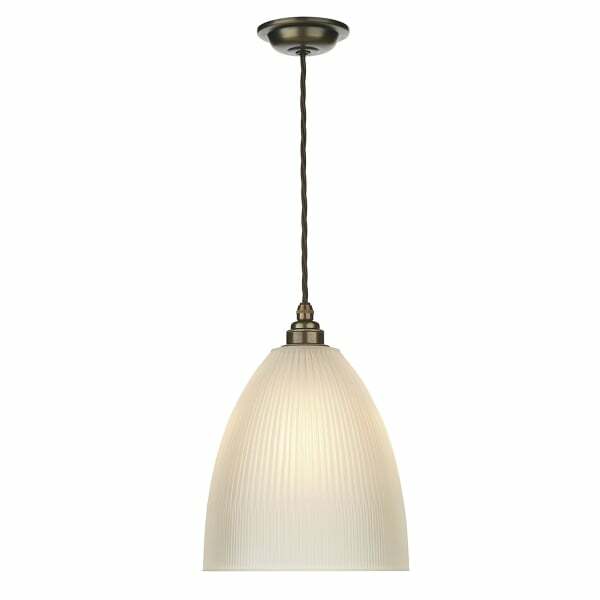 Great for period settings and lighting over kitchen islands and dining room tables.